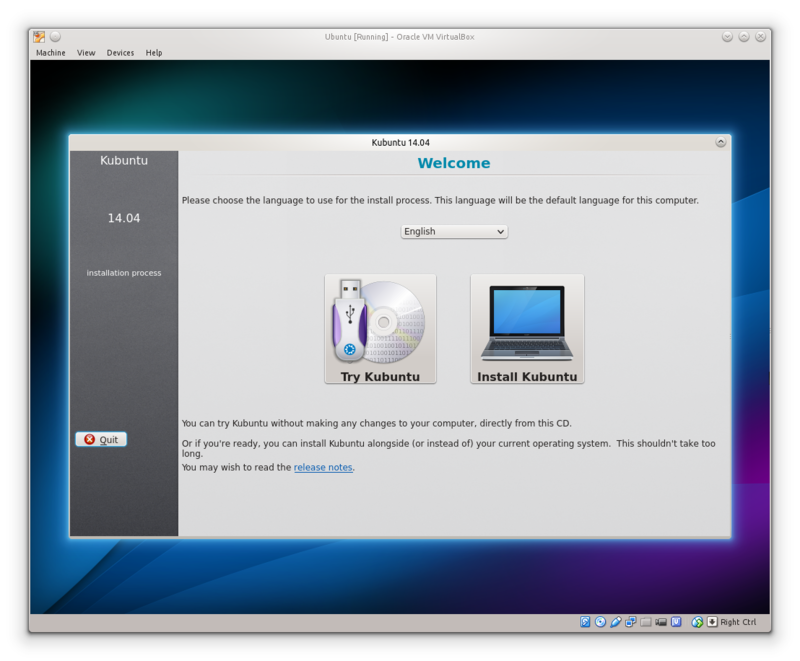 Start up a Kubuntu ISO image and check if the right hand sidebar in ubiquity has text correctly spaced in the screen which lets you choose between install and test kubuntu. Accepted ubiquity into trusty-proposed. The package will build now and be available at http://launchpad.net/ubuntu/+source/ubiquity/2.18.8.1 in a few hours, and then in the -proposed repository. I ran yesterday's image (actually from June) and the problem was still there. Running today's daily-live Kubuntu image the sidebar is nicely formatted and the install continues successfully so the problem is solved. The verification of the Stable Release Update for ubiquity has completed successfully and the package has now been released to -updates. Subsequently, the Ubuntu Stable Release Updates Team is being unsubscribed and will not receive messages about this bug report. In the event that you encounter a regression using the package from -updates please report a new bug using ubuntu-bug and tag the bug report regression-update so we can easily find any regressions.